Kress Connect Electrical is a friendly Electrical business with 5 years experience that can cater for all your commercial and domestic electrical needs. We cover all aspects of electrical from New homes and developments through to smaller jobs and general maintenance. Our professional and courteous service ensures you that all our work is completed to the highest standard at affordable rates. J.P.M. Electrical and Security prides itself on quality and customer satisfaction and aims to deliver a service that goes above and beyond your expectations. 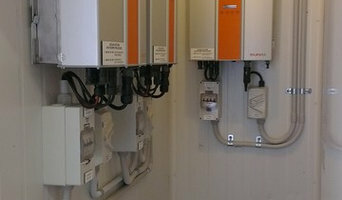 We are experienced in the Electrical and Security field. We constantly keep up to date with the latest products and continue to undertake study in various fields so customers can share the benefits and “WOW” factor of the latest technology in the Electrical and Security field. We understand people change their minds and therefore where possible we try to remain flexible and willing to work with YOU the customer to meet and satisfy your needs because without your business our business will not succeed. YOUR LOCAL ADELAIDE ELECTRICIAN - Professional, Expert Advice and Quality Service Guaranteed. Our electricians can help you with all your electrical needs, for both your home or business. Adele Electrical Services is a group of fully qualified electricians who specialise in electrical installations for either your home or business. We're focused on delivering high quality and cost effective electrical work right across Adelaide and will provide first rate electrical repairs carried out by only the most qualified electricians Adelaide has to offer. Our goal is supply the highest quality electrical installations for households and businesses, at the best price. Adele Electrical Services is committed to providing the most qualified and experienced electrical contractors Adelaide residents can trust. We take great pride in all our work and have had years of experience servicing Adelaide homes and businesses. We’re confident the best electrician Adelaide has to offer can be found with us at Adele Electrical Services. Complete Wiring Technologies is a family owned and operated SA business providing exceptional Electrical services to Adelaide and throughout the surrounding suburbs. Specialising in Domestic and small Commercial jobs, we strive to provide reliable and affordable solutions to meet our clients' needs. Please contact us to discuss your requirements and organise a free quote. Envy is the culmination of years of dedicated work from the founding partners Adam Nimmo and Ryan Voy. Built upon a young enthusiastic team of electricians, with a true passion for all things electrical. Our attention to detail and a ‘nothing is too hard’ attitude has earned Envy Electrical & Automation a reputable name in the industry. Every aspect of our system is thoroughly tested and selected to ensure you are receiving only the best. Our teams passion for what we do ensure we are always ahead in todays rapidly advancing technology market. YOUR LOCAL SERVICE FOR ALL SOUTHERN AREAS - Professional Technical Services. Guaranteed. Prompt, Reliable, Qualified Tradespeople focusing on Quality. No job too small. We aim to please. Commercial - Domestic - Industrial. Electrical, Phone, Data, TV/AV installs and repairs. Specialist Flat screen TV/AV wall mounting and Home Networking solutions. South Central Electrical is here to help you, please feel free to contact us with any questions or plans that you may have so as we can be of assistance and bring your ideas to life. Able to provide all services and technical support, we look forward to sharing our knowledge and expertise with you. Auto electrical Specialists in Adelaide Hills Bridgewater If you need expert auto electrical repairs in or around the Bridgewater area, you should talk to the helpful and friendly team here at Hills Auto Electrical Pty. Ltd... With a wealth of experience in all aspects of auto electrical diagnosis and repairs, we are the logical choice when it comes to the provision of professional services at sensible prices. M & J Electrical Works PTY LTD has always operated under strong values aimed at exceeding client needs. Our communication channels are always open—our relationship with our clients begins on the first day of contact and only ends once they’re fully satisfied with our work. When you hire our services, you can count on us for the results you want and need. Here at M & J Electrical Works, we are well equipped to service all your electrical needs. Whether it be maintenance repairs, switch boards upgrades or brand new home lighting installations, we have all of your needs covered. We offer reliable and best of quality work at a competitive price, and offer our service in all Adelaide and surrounding suburbs. For any queries or a quote, please contact us via email or give us a call (0403 708 856) and we will respond to your request as soon as possible. Weslec Electrical Adelaide is a trusted electrical contractor based in Adelaide, South Australia. We have been providing ‘Quality Service Guaranteed’ electrical installation and maintenance services to the Adelaide Metropolitan Area, all of South Australia and suburban areas for more than 25 years. Weslec Electrical Adelaide is directed by Wes Delmenico who has over 35 years experience in the electrical contracting industry. He is backed by a professional team of 4 helpful office staff, 14 qualified electricians and 7 apprentices with fully equipped service vehicles. And for further piece of mind, all our staff have a current police clearance to the Catholic Schools clearance standard. At Weslec Electrical Adelaide, we have always strived to make the most of business opportunities to ensure our clients experience the best possible customer service. We specialise in commercial and industrial site construction, shop fit-outs and domestic projects. 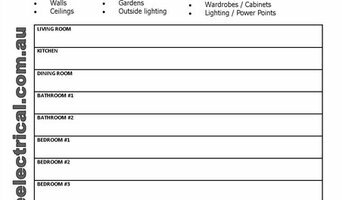 We also provide services in lighting design, power requirements and data and communication. Weslec Electrical Adelaide is your one-stop-shop. Everything is provided from electrical and lighting design, to installation of data, phone and security systems. We are the professional electrical company that can fulfil all of your electrical requirements with one phone call. And with all work carried out we provice a Certificate of Compliance. We are Occupational Health and Safety compliant and all staff are trained in relevant safety procedures. Need a ‘Quality Service Guaranteed’ electrician? Contact Weslec Electrical Adelaide today! The Platinum Trade Services Group delivers a vast range of services to a wide variety of clients across Australia. We offer a complete range of Electrical, Air, Building, Communications and Fire services, from domestic installations through to complex industrial commissioning projects, all supported by a 24/7 service to all clients 365 days of the year. Our goal is to provide continued support to our customers by providing them with the latest ideas by way of efficient installations and smarter technology and processes. We strive to save our clients money and time by constantly investing in better management and skills, whilst continually upgrading our online systems. Our business is an outcome driven electrical and air conditioning company. The focus is on delivering a superior result for the client with an ethos on always going the extra step to ensure 100% customer satisfaction. At Distinct Electrical we place a lot of emphasis on customer service and customer satisfaction. We like to provide a cost effective professional electrical service every time, while ensuring a personal service to your satisfaction. Whether you require commercial electrical work or domestic electric services, Distinct Electrical are always ready to carry out repair work, maintenance, contract electrical work and domestic contracts to the highest standards possible. Precise Electrical is part of the Precise Group of trade services. 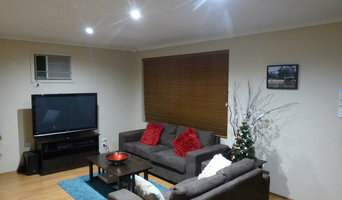 We provide high quality electrician services in Adelaide, and can complete any electrical job or task at a great price. We work with both commercial and domestic customers, including hotels, schools, warehouses, factories, super markets, hospitals, small businesses and households. We also provide a 24 hour emergency service for our clients and have vans on the road all day every day. Electricians in Green Hills, SA, AU plan, install and repair your home's electrical wiring, circuit boards and electronics. They read blueprints, measure and test electricity and have a thorough understanding of Green Hills, SA, AU building codes. While most electricians are known for their work installing power points, or altering switchboards and safety switches, his or her job also includes installing and repairing a variety of fixtures such as ceiling fans, security systems, fire alarms, air conditioners and other visible components of electrical systems. On a construction site, an electrician in Green Hills, SA, AU may work closely with project managers and builders to determine the specific electrical needs for your project. Here are some related professionals and vendors to complement the work of electricians: Lighting, Building Project Managers, Solar Power Contractors, Heating & Air Conditioning Contractors. Find an electrical contractor on Houzz. Narrow your search in the Professionals section of the website to Green Hills, SA, AU electricians. If you’re planning a large-scale project, you’ll find other professionals on Houzz who can help get the job done, too.